I have an honest review here to share with you today! 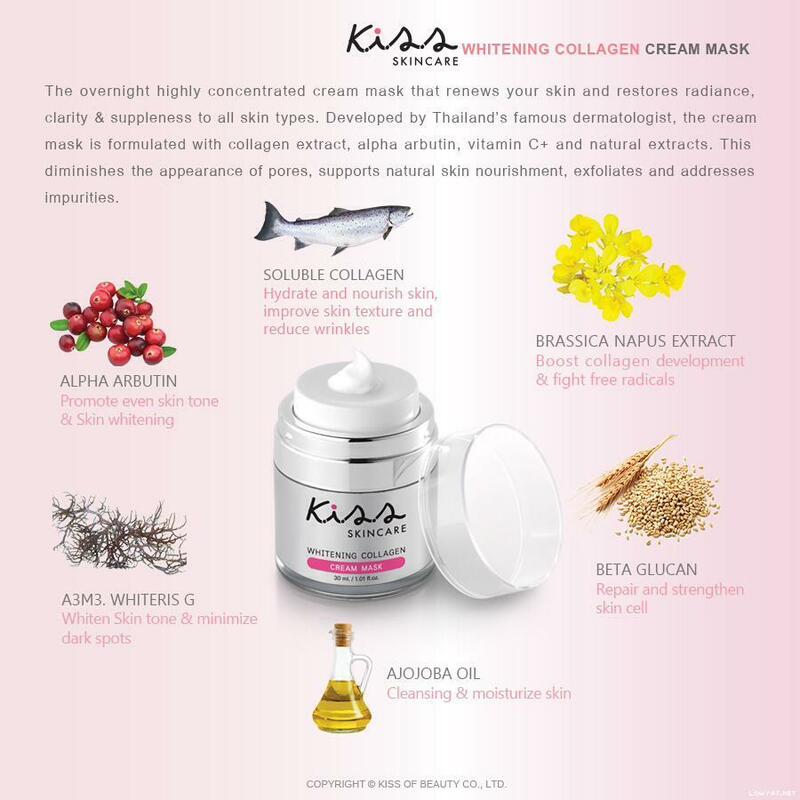 K.I.S.S Skincare Whitening Collagen Mask is the No.1 selling product in many countries like Thailand, Singapore, Hong Kong, Philippines, China, Indonesia, now in Malaysia! It's 100% authentic from Thailand. most of you might think "YEAH RIGHT. All of her review about skin care products are the same"
although I know that my skin appear as if I take extra care of it, but that's my luck of having healthy looking skin lah. This is also one of the reason why I can maintain my skin's condition from time to time because I tend to apply over night masks more when I feel like my skin condition is getting more oily or dry. Its the fastest way to heal our skin and also the easiest way. 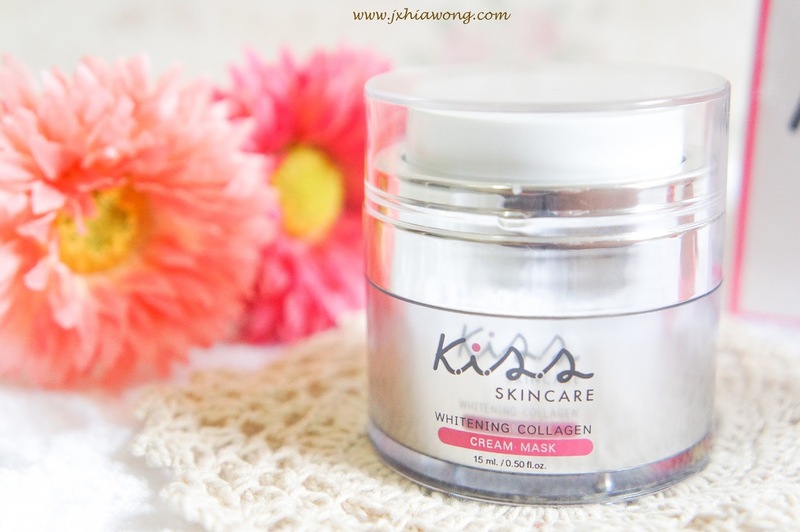 it leaves my skin feeling oily instead of moisturized, and also recently I read a few reviews saying that their mask's ingredients contains blue hair dye. Which OBVIOUSLY scares me. Gotta do more research before buying a product next time HAHA. 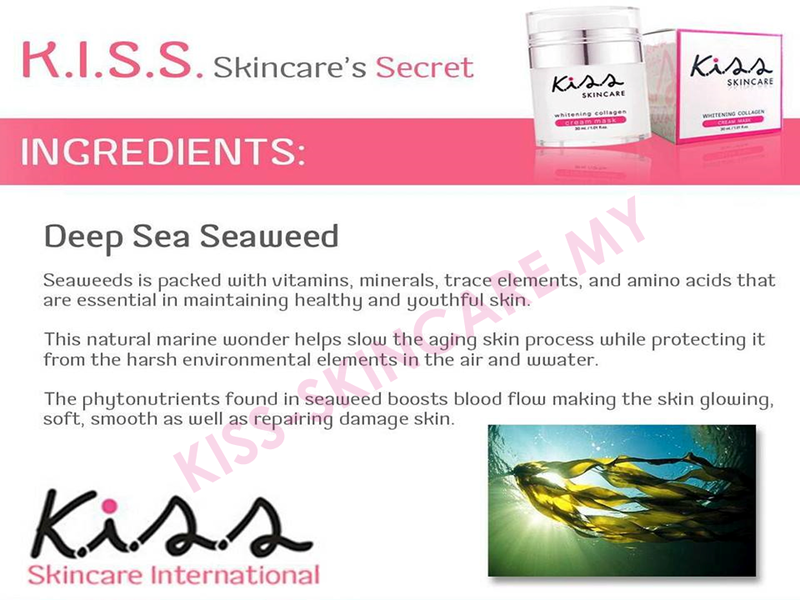 you might acknowledge that seaweed is a very popular detoxification treatment for our skin. Seaweed pulls out the toxins in your body and can aid in general well-being, relieving aches and pains temporarily. 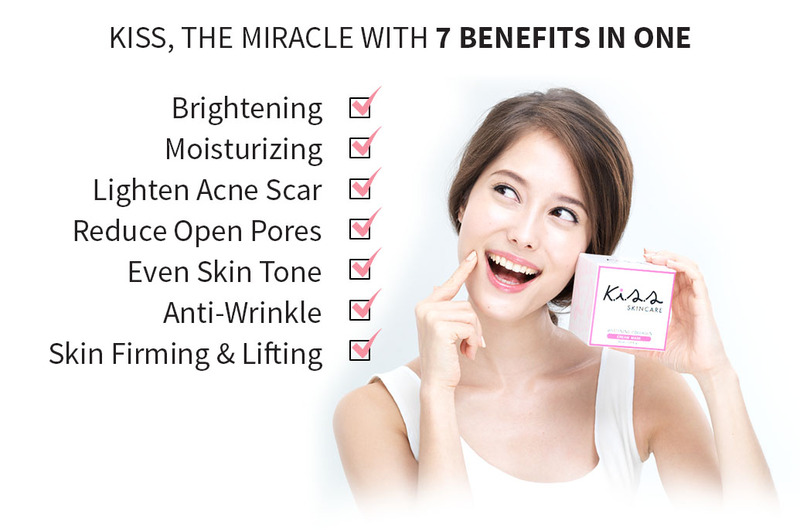 because it helps relieving aches and also clear leftover scars from our skin. 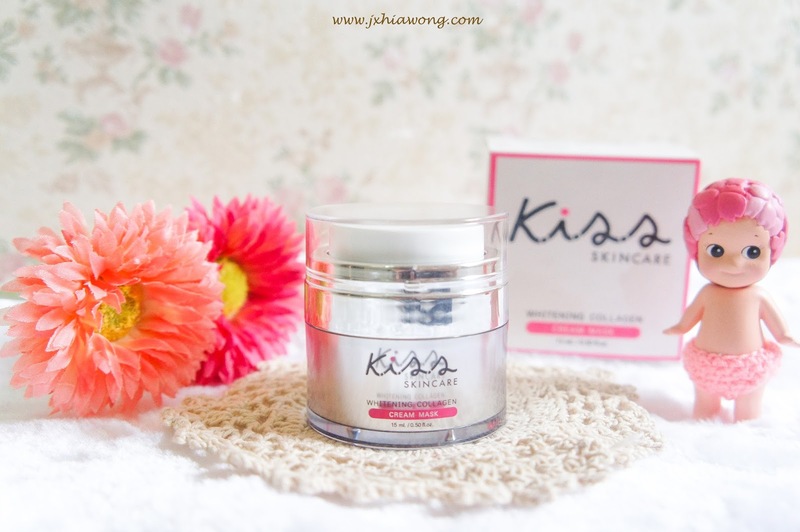 Please purchase it now and experience the amazing-ness of this whitening cream instead of doubting my whole blog post. 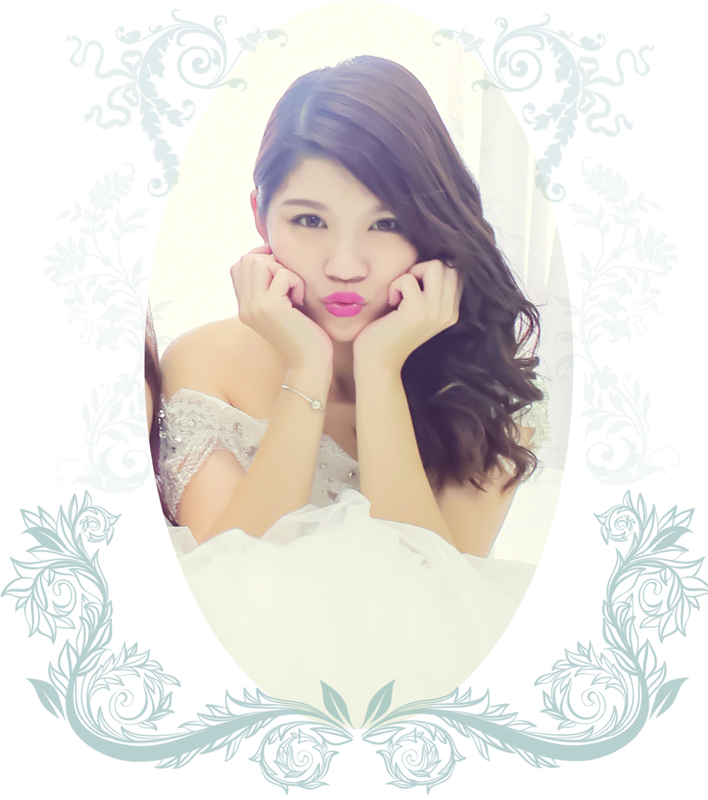 don't forget to join my 30% hair voucher giveaway contest HERE if you haven't ! !